The team at ArcticWhiteness first shipped Final Cut Library Manager March 4, 2014. Two years later, the application is solid, mature, and revved with a spiffy new upgrade. Let me show you some of the new features. Final Cut Library Manager is an essential Final Cut utility that allows you to do things with Final Cut Pro X library and media files files that are either impossible or time-consuming to do any other way. The latest version adds improved filters, the ability to see libraries that are currently open in Final Cut Pro X, an improved interface and revised pricing. Downloading the free version is a no-brainer for anyone using Final Cut Pro X. And purchasing one of the feature packs is a good way to ensure that this application continues to improve. Installation is easy. Download the software from the ArcticWhiteness website (the product is not available in the Mac App Store). This puts the application into the Downloads folder. Simply copy the app from Downloads into your Applications folder and you are done. NOTE: Or, if you don’t, when you first launch the app, it will offer to put itself into the Applications folder for you. The latest version of Final Cut Library Manager can now be downloaded free of charge. This version includes all the basic features that were previously available in the previous trial version. Users can also buy the “Advanced License” for €19.90 (about $22.40 US), which is the equivalent of the previous paid version. Those with existing licenses will be upgraded to this new version for free. Users may also choose to buy two new options, at €3 (about $3.38 US) each. A variety of bug fixes and performance enhancements. 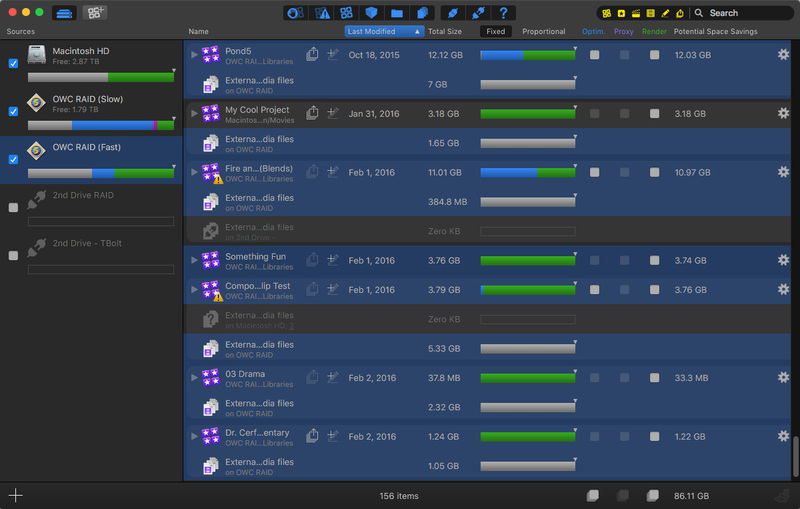 Option 1: The ability to duplicate, move or delete libraries directly within Final Cut Library Manager. Option 2: The ability to quickly access exported media with just a click (this is the next step after you see them listed). This is the interface for Final Cut Library Manager (FCLM). On the left is a list of all the storage devices that are, or were, attached to my system. On the right is a list of all the libraries stored on that hard disk. In this screen shot, I highlighted one of my RAIDs and the system showed me all the libraries stored on it. And not just libraries – it also shows media, including if that media is stored inside the library or, in this screen shot, externally. If that library contains media that is offline, FCLM displays an alert. Click the “Alert” button in the toolbar at the top (second from left) and all libraries with problems (for example, missing media) are displayed. 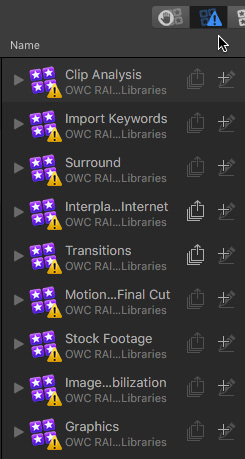 A very cool new feature is the ability to display and manipulate libraries that are currently open in Final Cut. Click the toolbar button at the far left to display all open libraries. Where FCLM really comes into its own is its ability to display the amount of hard disk space used by each library to store media, optimized and proxy files, and render files. You can even sort libraries by the amount of storage space they use. 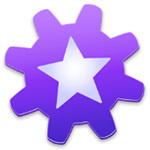 We can even open any library into FCP X from within FCLP – a very helpful feature for the terminally disorganized. Opening a library is as easy as double-clicking its name in FCLM. Part of the new features in FCLM is that we can duplicate, move or delete a library. 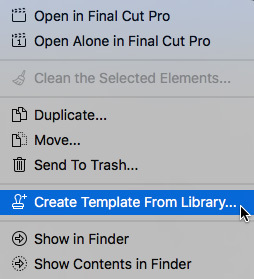 But a feature I REALLY like is the ability to create a template from a library – something even Final Cut does not directly support. No other program that I’ve seen has the breadth of features, the simplicity of interface and the downright helpfulness of Final Cut Library Manager. The new version adds several useful features in a thoughtful fashion. 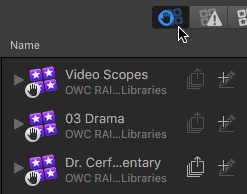 Even if you are obsessively organized, Final Cut Library Manager will show you things about your libraries, media and data that you never knew you never knew. I just sent a priority request for support (re the media and metadata synching difficulties in editing the same FCPX projects on two Apple machines). I assume FCLM might be of assistance in this regard.